Here’s a bit of detail about how the idea of the game came about. The concept of the game was originally conceived between sessions of Counter-Strike and Civilization, two very addictive, but very different games. Could a game combine the high-stakes, short-round-times of Counter-Strike into a world conquering game like Civilization? Could Civ be sped up and pushed into a quick throwaway 5 minute round? 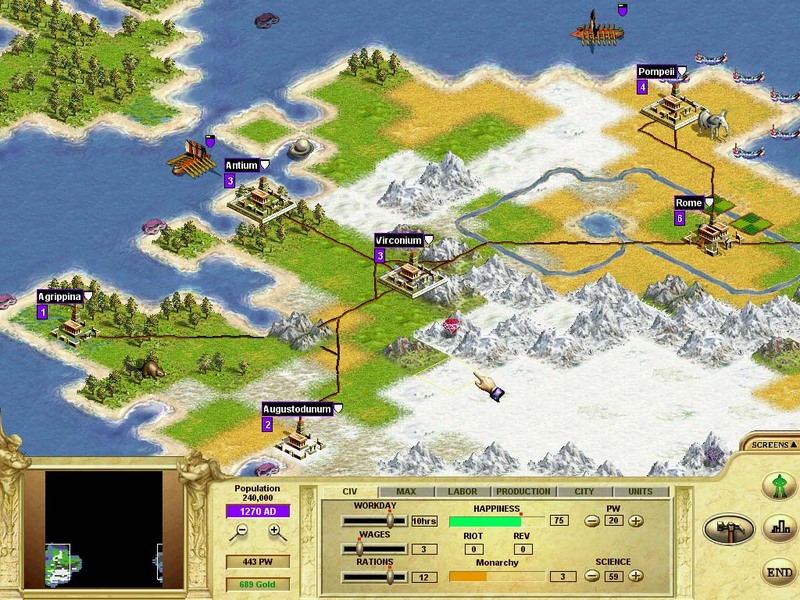 Games of Civilization can take many hours to complete, and whilst this is part of the game’s appeal and charm, it can drain time and put a strain on relationships with loved ones. 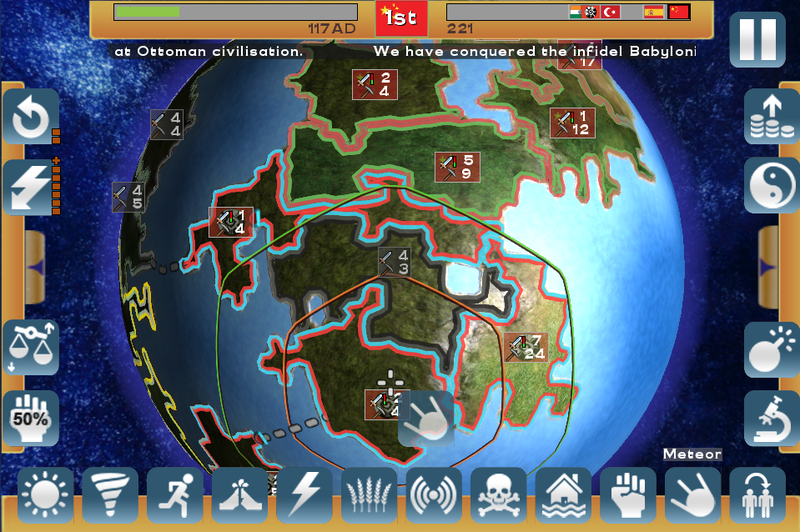 We wanted to create a game with the essence of Civilization, but boiled down for quick 5 minute blasts of gameplay, especially appealing on mobile while you’re out and about. In the same way you can jump in and play a quick game of Counter-Strike. As well as the length of games there’s also the endless clicking and micro-management in Civ, which while fun on PC, doesn’t always work as well for fast, intense games. We wanted a more fluid, strategic game, which focuses on the bigger picture. We started off by implementing many of the features found in the original game (at least in a simplified form) on a smaller globe. 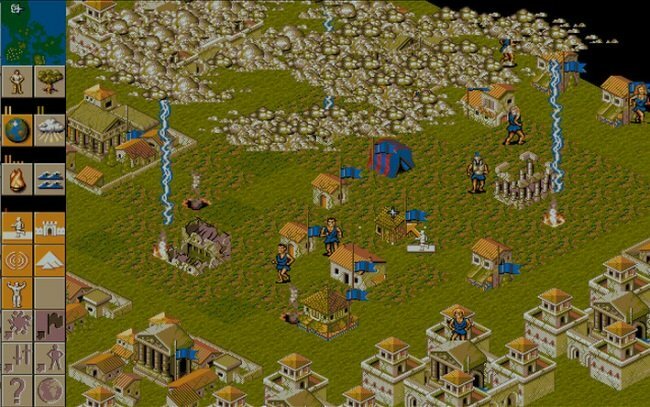 With settlers and units running around, founding cities and attacking enemies. From the start we wanted the gameplay to be in realtime, rather than turn based, to push along play, and most resource management is automated, so the player doesn’t have to micromanage. Initially the game was difficult to play, with too much to monitor at any one time and still far too long. Elements were then stripped out and simplified. Eventually we arrived at a good balance between the detail of the original and the quick play we were hoping for. For a while attacks were between individual cities, and regions shifted around these cities, but this was found to be awkward and confusing, so the idea of static regions was added. The gameplay naturally became more arcade, but we have attempted to balance this against keeping the strategic feel. In fact a lot of the original elements are still in play behind the scenes – Settling, Terrain bonuses, Detailed attack calculation etc. Miracles were added later as a way of directly intervening in the affairs of the planet and preventing Civilizations dominating too quickly. They are inspired by the miracles in another classic – Populous. At a similar time, the game became more themed on the idea of vengeful gods and rapture. We’re hoping to get a beta version out in the next few months, so we can get some feedback on whether you feel we’ve got the balance right. If anyone that would like to get involved with the beta and give us feedback, please keep an eye on our facebook and twitter pages for upcoming details.